Two men were arrested in the latest attack; police say incidents are unrelated. Two teens in Northern California were arrested Wednesday as they're believed to be the suspects caught on camera kicking an elderly Sikh man in broad daylight. 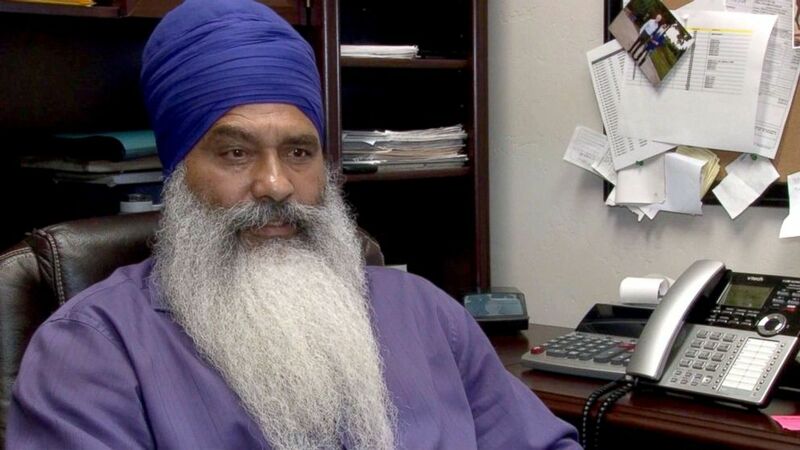 The attack comes less than a week after another Sikh man was ambushed in a neighboring county. In the latest incident, a Sikh man, 71, was walking around a park early Monday morning, when two men confronted him, kicked him several times and spat on him, police in Manteca said. The confrontation was caught on a local resident’s surveillance camera. In the video, the suspects appear to walk away, and then one of them returns, kicking the man several more times while he is still on the ground. It's unclear what was said during the confrontation before the violence broke out because the man does not speak English, Manteca Police said in a statement. There are two teens in custody, 18 and 16 years old, who will be booked on attempted robbery, elder abuse, and assault with deadly weapon charges, Manteca Police said. Investigators will continue to look into whether this assault meets the criteria to charge as a hate crime. Six days earlier, in a neighboring county about 30 miles away, Surjit Malhi, 50, was ambushed by two men while putting up campaign signs near Turlock, California. "They threw sand in my eyes and then they started hitting me after that," Malhi told ABC News affiliate KXTV. "They were cussing at me saying, 'Go back to your country, you don't belong here.'" 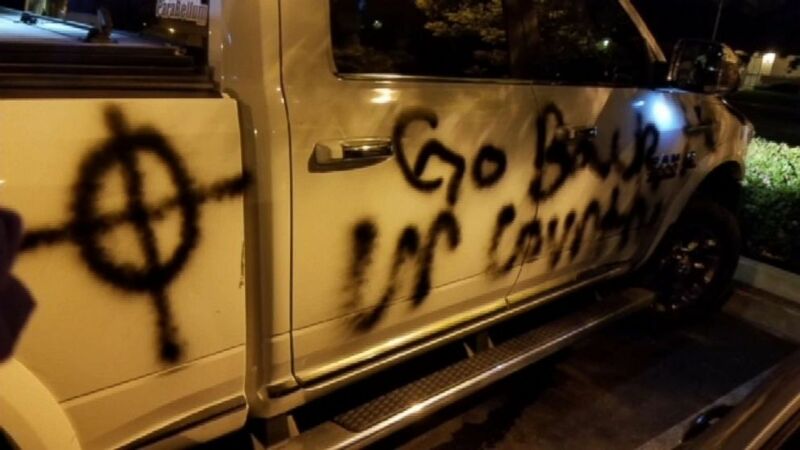 The assailants spray-painted Malhi’s truck with the words “go back to ur [sic] country” and the white supremacist version of a Celtic cross on it. The Stanislaus Sheriff’s office is investigating that attack as a hate crime, and are hoping someone comes forward with a tip that could lead them to the suspects. In the other case, Manteca Police say that they received a number of tips that helped them make an arrest. “The public’s assistance in providing information with this case was instrumental in identifying the suspects and allowed my investigators to make a quick arrest," Investigations Supervisor Sgt. Miller said in a statement. The two crimes are "100 percent unrelated," the Manteca Police Department told ABC News.